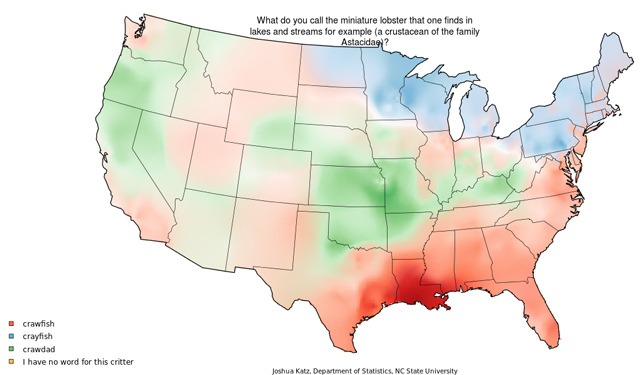 North Carolina State University statistics PhD student Joshua Katz created a fascinating series of maps that visualize regional variations in American English in the lower 48 states. 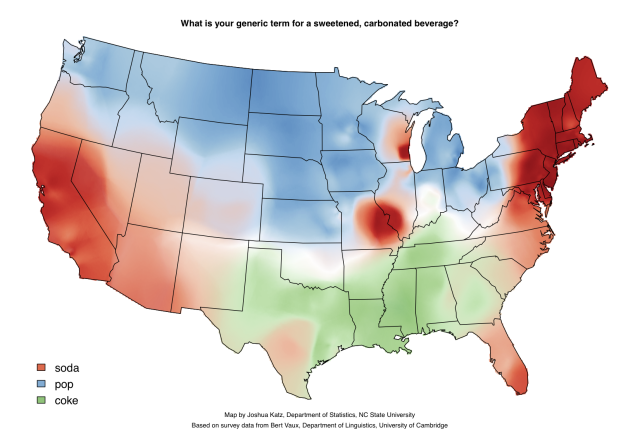 Part of a research project entitled “Beyond ‘Soda, Pop, or Coke:’ Regional Dialect Variation in the Continental US,” the maps focus on terms that vary widely around the country, such as the general term for a carbonated beverage, and the term used to address two or more people. 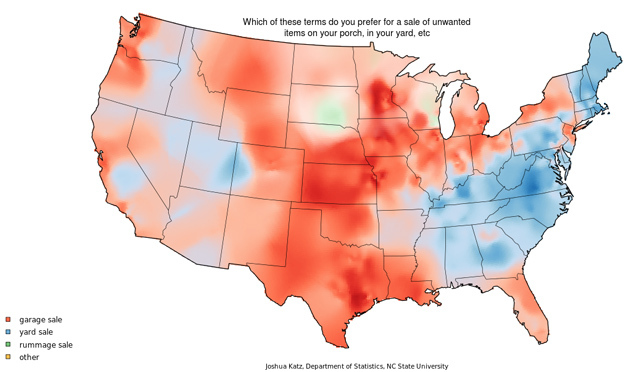 The maps are based on a national survey that was conducted by Bert Vaux at the University of Wisconsin–Milwaukee.